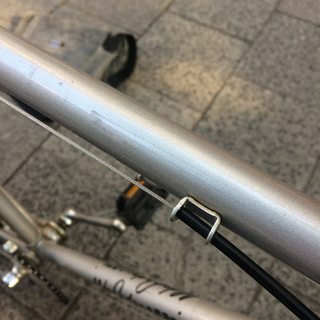 I bought an old city bike (and I think I overpaid for it) and after a couple of weeks both front and rear brake cables snapped the same day. 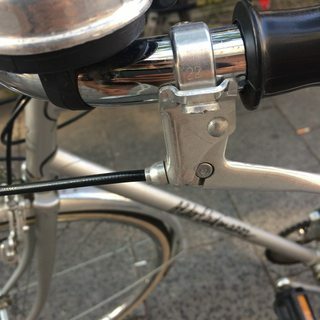 It has side pull brakes. I changed both of the cables, but the brakes don't feel as strong as before, especially the rear brake. Note that I adjusted the rear brake pads before installing the cables. Should I also change the tubing? If yes, should I put oil/grease inside the tube? PS. I am planning to change the brake pads with leather face pads for rainy days anyway. I have changed the brake pads, I have put some oil inside the tube for the rear brake. While I am at it I have also put some oil around the center pivot bolt so both calipers can move with less friction. For a couple of days it was worse than before. But now I think the new brake pads have worn out a little bit and fit to their position better and they are strong enough. The rear brake still feels a little bit weaker but it is much better. 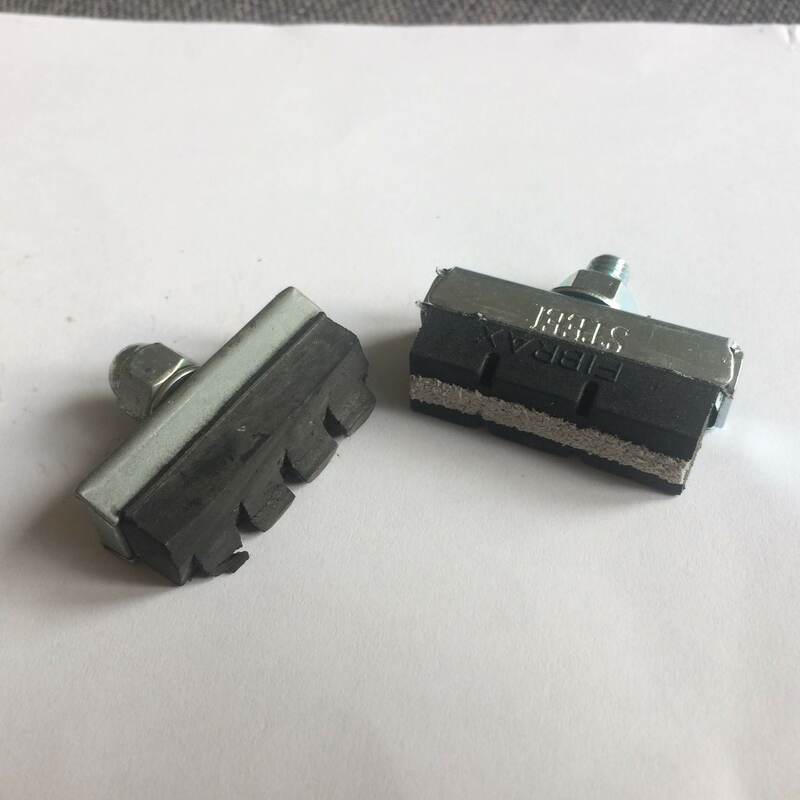 Here is the old brake pad and the new brake pad. The old one is worn away pretty badly. I will also try to install ferrules soon. It's hard to see what the surface of the brake pads looks like and how it is aligned with the rim, but I would look to see how flat the pad surfaces are and how flush they are with each side of the rim... when the brakes are pulled on. 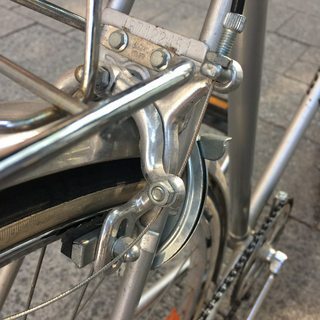 If the pads have developed a concave profile where they used to fit on the rim, and don't fit there any more, it could explain reduced braking power. Replace the pads if they are no longer flush with the rim. The black outer cables should have metal ferrules on the ends, in photos 2 & 3 at least. They’ll help, but if they weren’t there before then it doesn’t explain the reduction in power you’ve had. 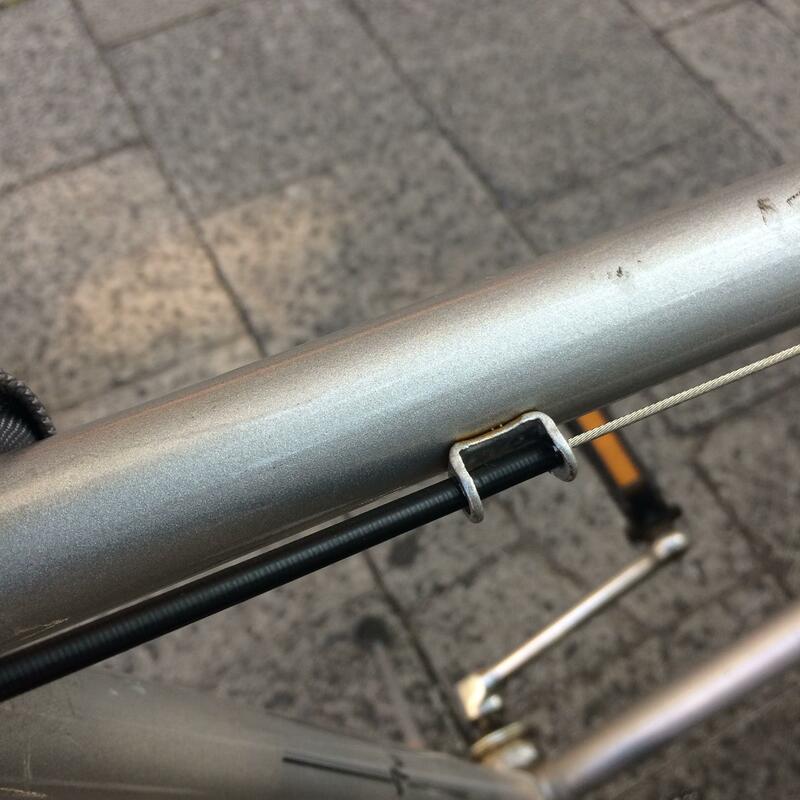 I would also thread in that brake adjuster on the top brake arm, all the way down (back off the locknut first). Not the answer you're looking for? Browse other questions tagged brakes rim-brake or ask your own question. How can I adjust for uneven brake wear? 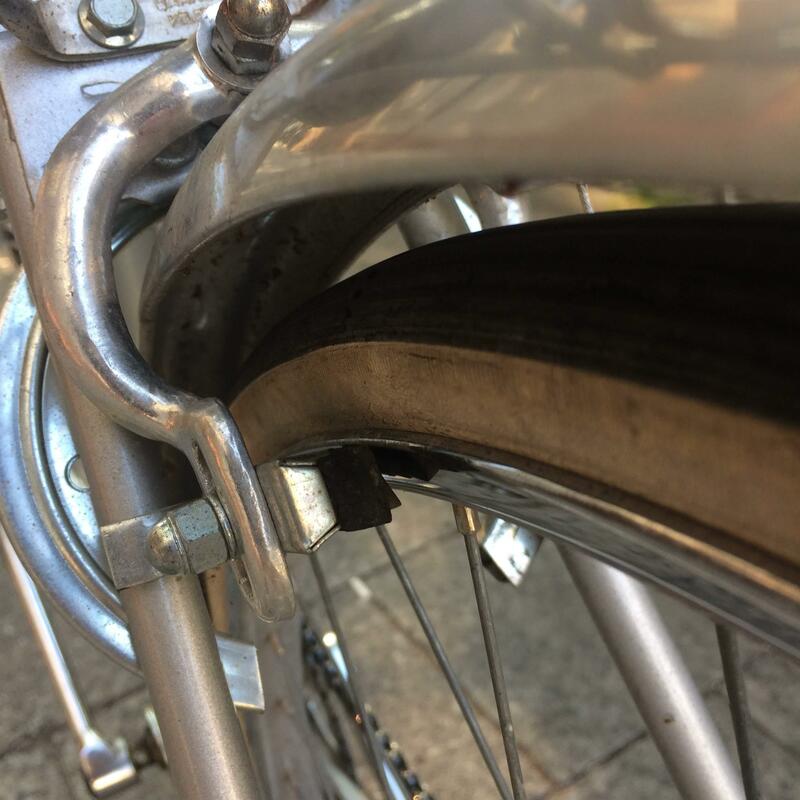 How to decelerate effectively with a rear brake? Repair or Upgrade Centrepull Brakes?